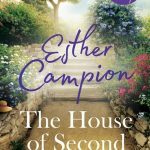 Australian Recent Release: The House of Second Chances by Esther Campion. “Can a house heal heartache? From coastal Australia to the rugged beauty of Ireland, an enchanting novel of starting over, in the tradition of Maeve Binchy and Monica McInerney” – Hachette Australia. Ellen and Aiden O’Shea always loved staying at their grandmother’s cottage in Ireland during the summer months of their childhood. Now, after visiting from Australia, Ellen wants to restore the property back to its former glory, and asks her friend Colette Barry, one of Ireland’s top designers, to help her. Aiden, on the other hand, has avoided the house for nearly twenty years, and is hardly enthusiastic about helping out with the renovations. Both with their own heartaches to overcome, will Aiden and Colette be able to find the courage to give the house and themselves a second chance? “Warm, wise and full of humour. Esther Campion is a wonderful new voice in Australian fiction” – Cathy Kelly. Stay tuned for an interview with Esther Campion on the blog! 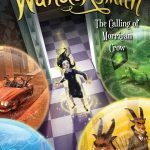 Kids Recent Release: Wundersmith – The Calling of Morrigan Crow by Jessica Townsend. “Unexpected, exciting and funny. Like Alice in Wonderland, Harry Potter and Doctor Who swirled up together.” – Judith Rossell, ABIA Award-winning author of Withering-by-Sea. The second book in Jessica Townsend’s Wundersmith series is now out! Join Morrigan Crowe on another exciting adventure. She may have overcome a deadly curse and joined the magical Wundrous Society, but her passage into Nevermoor is not destined to be simple, and Morrigan is quickly learning that not all magic is used for good. 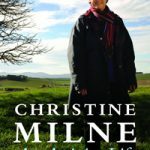 Tasmanian Recent Release: An Activist Life by Christine Milne. In this extraordinary memoir, environmental activist and former leader of the Green party Christine Milne delves into her fiery journey from high school teacher to environmental protector up against some of the most powerful political and business “forces” in Australia. She discusses how politics really works, from climate change to the refugee crisis, and all the decision making and treachery that ensues behind closed doors. Milne’s story is told through a series of objects that have symbolic meaning in both her personal and political life. This book is one to savour. Tasmanian Classic: Tricks of Memory by Margaret Scott. Tricks of Memory was acclaimed Tasmanian Poet Margaret Scott’s first poetry collection, and was published in 1980. Scott’s poetry is known for its astute wit and humour, especially in terms of domestic life. Tricks of Memory is a heartfelt meditation on home life, marriage and identity. Scott was awarded numerous prizes throughout her poetry career, including the Australlia Council Writers Emeritus Award in 2005.